More great news……Our great friends at Toyota will continue their Toyota Bonus Bucks program for the B.A.S.S. Nation in 2019. There is an opportunity for good money to be earned for your anglers and for your as a state with their “Matching Funds” program. Please make sure you read the program details and make sure all your Toyota Owners that are on your state team are registered. It could mean big bucks for them and matching funds for your state. 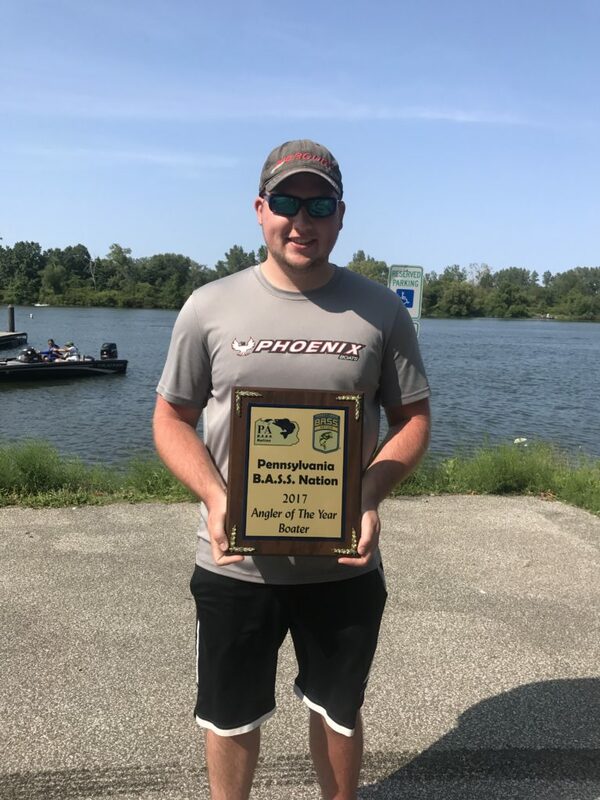 At all three regular season state events, PA Bass Nation will be accepting donations for the Youth/High School program. Ernie, our youth/high school tournament director, is always in need of giveaways for his events. This is a perfect way to help out and give something back and help out the kids in our organization. There will be a donation bin at all three events. We will be accepting donated items such as rods and reels, baits and line, t-shirts and hats, etc. – really anything fishing related that can be used as a giveaway. Thanks in advance for supporting our youth and high school program. Congratulations to all those that participated in the High School/Jr Club State Championship! Another great year! Check out the results by visiting the Youth page. Congratulations to Andrew Larson, recipient of this year’s PA B.A.S.S. Nation Angler of the Year award.